You’ve probably heard of dyslexia, but have you heard of dyscalculia before? Maybe not, given that children with dyscalculia – or mathematical learning difficulties – are less likely to be diagnosed. In fact, research shows that children with dyslexia are more than a hundred times more likely to receive a diagnosis and educational support than children with dyscalculia. This is despite the fact that dyslexia and dyscalculia are expected to be equally common. This is worrying, given that research shows low numeracy might affect people’s life chances more negatively than low literacy. Indeed, there is a strong link between numeracy and educational success, income, mental and physical health and even chances of arrest and incarceration. Dyscalculia is defined as a condition that involves long-term, severe difficulties with mathematics – which cause significant problems with academic or occupational performance, or with daily activities. Dyscalculic children might also have trouble using calendars and clocks, they might struggle with recalling the order of past events, and with following sequential instructions. Research shows that developmental disorders very often occur together. So if your child has autism, ADHD or dyslexia, then they could also have dyscalculia. Our recent research investigated the links between dyscalculia and other developmental disorders in primary school children, and we found that among the children we identified as potentially dyscalculic, 81% already had another diagnosis. We also found the number of boys and girls with dyscalculia to be the same. This differs from other conditions that are more common among boys. In our study, twice as many boys than girls had a diagnosis of dyslexia. Why is it so rarely diagnosed? Primary schools in the UK test pupils using standardised, curriculum-based tests every year, starting from grade three. When a child performs at or below a certain cut-off, and their performance does not substantially improve after receiving specialist support for six months, they should receive a diagnosis of dyscalculia. But despite this, dyscalculia is almost never diagnosed – it appears to be a very rare condition. Former diagnostic criteria for dyscalculia included the requirement that mathematics skills should be well below the person’s level of intelligence. This requirement has been now dropped, but practitioners might still expect an unexplained difficulty with mathematics, without any other issues. There is also no official guidance on how dyscalculic learners can be best supported. And because a dyscalculia diagnosis is very rare, it is also difficult to recruit individuals with dyscalculia for research studies – which is essential for testing and developing intervention methods. Another issue is that when children already have another diagnosis – such as ADHD – this might be considered the main target of intervention. This means that any learning difficulties might be seen as a consequence of the primary problems. And there can also be a general tendency to view mathematics as a difficult and burdensome subject that is “not for everybody”. Early diagnosis is particularly important, because missing the basics of mathematics makes it difficult for learners to follow subsequent topics. This can lead to frustration and negative attitudes towards mathematics, as well as school subjects in general. Officially diagnosing children might also lead to faster changes in government policies. Once dyscalculic learners appear in official statistics, it is more likely that support will be offered. It was only in 2009 that the Rose report on dyslexia was published, which called for the availability of special training for teachers to support children with dyslexia. This initiative has been a huge success, and it is likely that the same result would be possible for dyscalculia. What all this shows is that when it comes to dyscalculia, more needs to be done to help children who are struggling. So if you’re a parent worried about your child, it is important to raise this with your child’s school and seek specialist educational psychology support. Obtaining an official diagnosis might take a long time. But you can help your child by practising some basic concepts and procedures with them. This can be done by manipulating everyday objects, such as beads or tokens, or playing simple number games. You can also play board games with a dice – which can help to demonstrate basic number concepts. These activities might be especially helpful for younger children, but can also help to build confidence in the case of older pupils. Computer based maths programs can also be used for repeated practice of arithmetic. As with literacy, it is important that you don’t see your child’s maths learning as solely the responsibility of schools. 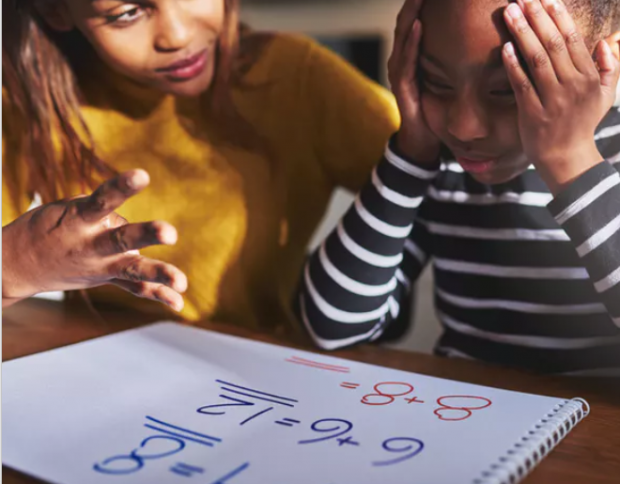 Dyscalculia, similar to dyslexia, is a life-long condition, which continues to affect people beyond their school years. It cannot and should not be ignored. And a better awareness of the condition in parents, teachers and society generally could offer great improvements in the prospects of dyscalculic learners.